A Sports Illustrated fan poll has named Miller Park the second best stadium in all of baseball. 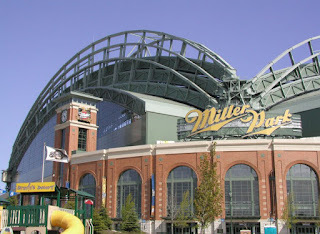 Chris De Luca of the Chicago Sun Times has named Miller Park the 25th best stadium in all of baseball. There's an obvious punchline there, but I'll let you fill it in yourself.